Below are a few rather astonishing charts on the great Chinese bull. 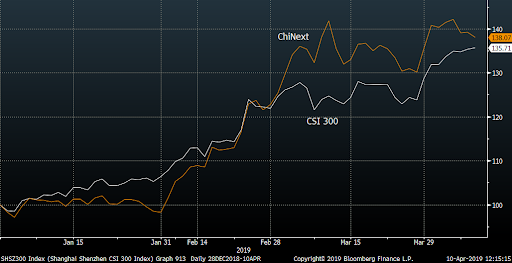 The CSI 300 is +35% YTD and 39% in USD. ChiNext is even better. 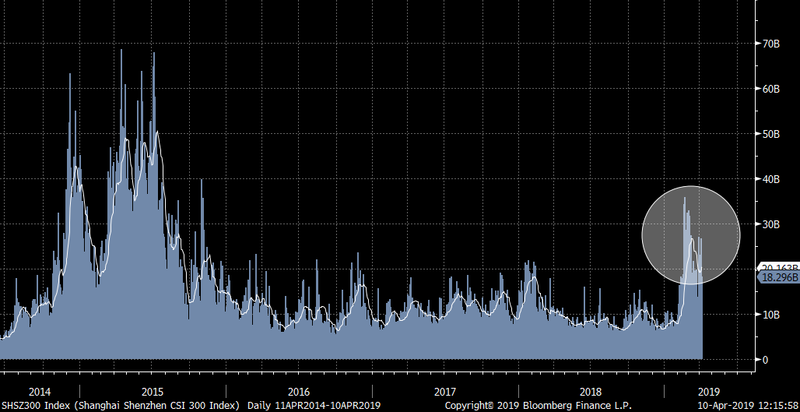 Volumes have been surging massively as the average Joe has piled into equity longs. Below is the volume chart for the CSI 300. 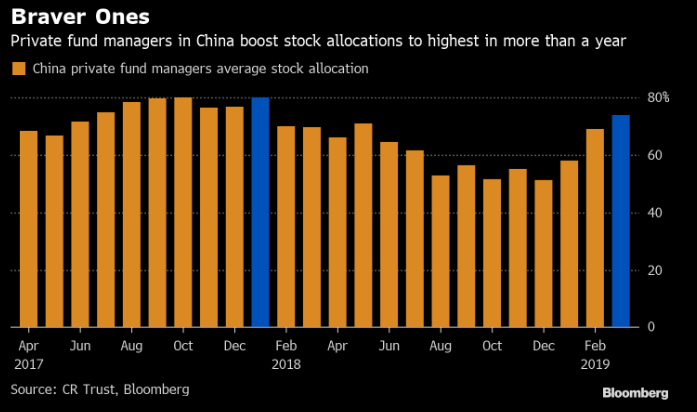 The Chinese stock market frenzy is going parabolic and is obviously attracting more and more people to chase the rally. 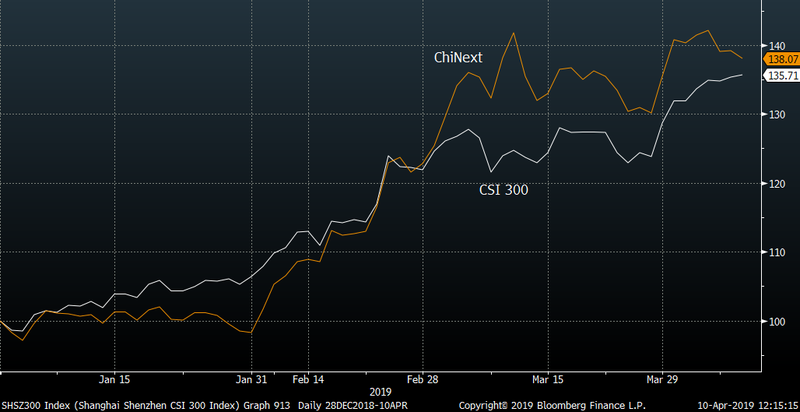 This might as well continue, but the Chinese “sentiment” charts are starting to look a bit scary.